When you create an @variable as opposed to a variable, the @ tells that it is an instance variable. By opening config > routes.rb, we can use the code resources :articles to give a lot of different paths to articles (index, create, new, edit, show, update, and destroy). Save it and reload 0.0.0.0:3000/articles/new. Now it is missing the template (view). Go to views and create a new folder called articles. Inside that folder create a file called new.html.erb. Put a <h1> at the top telling what the page will do: “Create a new article”. Reload the site and see if you can see the <h1>. And we can! Perfect. Now we need to create a form to put on that page so the user can create a new article. RailsGuides has a great site talking about all the parts of forms that rails provides but for now we’re just going to do some basic things. Since we got all of that working, we can now build the form on new.html.erb. Now when I try to create an article with no title, I do get which errors are occurring so that I know why I can’t make an article. But when I put in a correct title and description, I get a message “The action ‘show’ could not be found in ArticlesController.” So I need to define show in ArticlesController found in app > controllers > articles_controller.rb. It doesn’t seem to matter where I place the define, but I’m going to put it right below create. That should be it! We can now create articles by going to 0.0.0.0:3000/articles/new. Make sure to commit and push to git and we are done for now. Next entry will be about editing entries. This entire section and the previous article has been working with the backend of my app. Eventually I will be able to do all of these things from the browser, but for now I need to understand how this works from the backend. In order to edit an entry in a database, you first need to grab it. You can grab it by assigning it to a variable: article = Article.find(2), where 2 is the article’s ID. Then all you have to do is type: article.title = "This is the new title of the 2nd article", then type: article.save to save the change. If you want to see that change, type: Article.all. If you want to delete an entry, grab the article just like we did before, and then type: article.destroy to delete it. Now if you try to create an article without a title or the title is too short or long, there will be an error when you try to save it using article.save. If you are curious of what the error is (it doesn’t tell you right off) then you have to type: article.errors.full_messages and it will tell you what went wrong. And don’t forget to push changes to git. Use git status to see what files have changed without having been committed. git add -A will add those files to a commit. Then use git commit -m "your message" to actually add the changes to the commit and then use git push to push the changes. If you have a table that will be holding a bunch of articles for a blog, the title of that table is articles. The model name will be the singular, so Article (and it should be capitalized). Filename should always be snake_case. Model & class names should be CamelCase. but we’ll leave it out and add it later to show what to do in case you need to add a column once a table has been created. 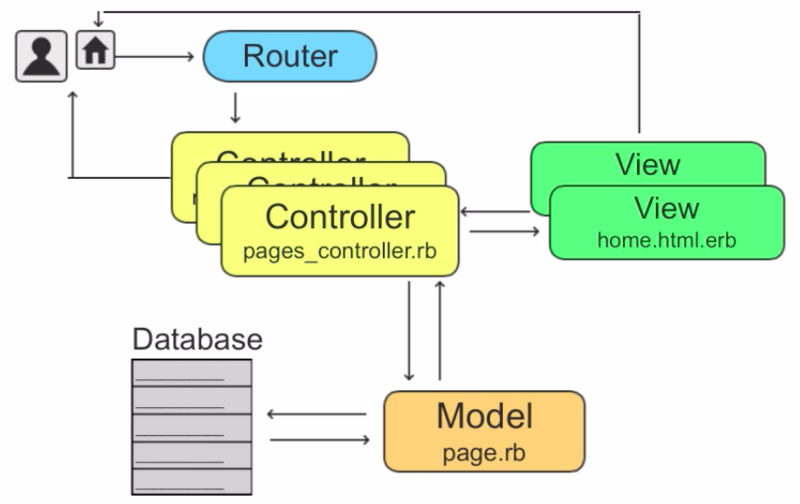 We then need to run rails db:migrate to actually create the table. Once that is done you’ll see code in db > migrate > schema.rb that shows the “articles” table. But we forgot to add the description column, so we have a few options of how to fix that. I can run rails db:rollback which essentially is like command-z. I can then add the description and run rails db:migrate again. Even though this works, it isn’t the best way to deal with a mistake. Instead, you should create a new migration file. To do this, enter rails generate migration add_description_to_articles. Once this new migration is created, you need to open it: db > migrate > (bunch of numbers)_add_description_to_articles.rb and add some code to create columns. What this just did was added 3 columns to our table titled “Description”, “Created At”, and “Updated At”. Once this is done, you need to migrate the db again. rails db:migrate. Once that is finished, you can go back to schema.rb and see the changes that occured. We’ve created the database, but we need a model to be able to communicate with the database. This is the image used in the course to help understand the relationships between all the pieces. Rails magically creates getters and setters for each of the columns we made earlier in the table once we make this model. article.title = "This is my first article"
article = Article.new(title: "This is my 2nd article. ", description: "This is the 2nd description." and then save. Article.create(title: "This is my 3rd article. ", description: "My 3rd description.") – this one you don’t have to save as the create method automatically saves it. This is probably the most effective method. To get out of the rails console, just type exit. This lets us use postgresql while developing but sqlite3 when we actually produce. To get this to actually take effect, we need to commit to our repository. We do this by typing this in shell: bundle install --without production. Then log in to heroku.com and find instructions for installing heroku toolbelt on local machine. The course wasn’t clear about how to install locally, but I think this code should do it. curl https://cli-assets.heroku.com/install.sh | sh. I think the piece we are trying to install is called CLI (used to be called Toolbelt?). Type heroku -v to make sure heroku was installed correctly. 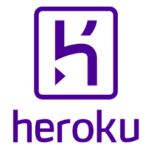 Now log in to heroku using heroku login. You’ll be redirected to a browser to login. We need to create an application in heroku for our application. To do that, use heroku create. If you then use git status you’ll see what hasn’t been committed and what has. Remember to use git add -a and git commit -m "whatever you want the message to be" to add the changed files to your commit. Lastly, we need to add our ssh key to heroku. If I don’t, it will continually ask me for my username and password. Just use the code: heroku keys:add. Once this is done, you should be able to push your application to heroku. When I tried to push the application to heroku, I ran into an issue because bundler had been upgraded to bundler 2. I first had to run this command: heroku buildpacks:set https://github.com/bundler/heroku-buildpack-bundler2 but then after that, I was able to git push heroku master to send the app to heroku. That is completed and here is the site. To rename the site, use the code: heroku rename new-name-of-site (whatever you want it to be). To be able to back up and save your program, I’m going to use github.com. The first thing you have to do is set up your ssh (which stands for secure shell). You can use the command cat ~/.ssh/id_rsa.pub in the terminal. You then have to copy the code that is printed. Got to github, click to add a new SSH, and paste the code into the field. Once that is done, you should make a repository for each of the programs you will work on. To create a new repository, you need to click on the “+” sign in the top right corner of github.com and choose “New repository”. Name the repository something that makes sense (probably the name of your program). You’ll then want to follow the instructions to “push an existing repository from the command line”. Before you can actually “push” your changes to a repository with git, you have to “commit” the changes. git status can always show you what files have been modified. Use git add -A to add a file to your local repository (local repo). Then use git commit -m "note to remind you what this is for" to commit that local repo. This just “saves” your changes, but it hasn’t uploaded it to github. To “upload” it to github, use git push to push the files to github. Right now, I’m able to fire up a rails server and see what I’ve created in my own browser, but that is all local, nothing to show others or see online. If I want to be able to show it to others, I need to deploy to production. I’ll be using Heroku (which is a very common site to use) for this. I’ve been enjoying the Udemy course so far, learning about methods, arrays, branching, iterators, and hashes. So far things have made sense, and there have been a few small projects to work through that have made sense. My brother gave me another suggestion today for another course. This one is from FlatIron School and is called Coding Bootcamp Prep. There also looks to be an Intro to Ruby but I’m guessing that what I’m learning with the Udemy course would cover all the basics. I’m looking forward to having enough knowledge under my belt to start making my own program. The course also gave another recommendation of a site to hone your basic skills: GitHub TryRuby. Seems pretty doable. I decided to take the plunge and shell out the $10 for a $200 Udemy class. 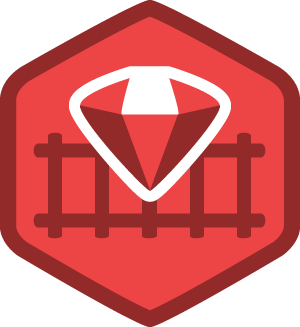 It has a lot of good ratings and I think it will be a good way to get to learn more about Ruby on Rails. There are over 40 hours of video instructions and I’ve been able to follow along quite easily with them so far. I’ve found that I’ve been watching a lot of TV recently and decided that I should probably cut back a bit or at least multitask and learn something with the extra time. So Rails it is. My main goal is write a web app that will allow me to keep track of my Singles Tennis Ladder in a cleaner nicer way. I think that should be pretty doable. Another project I could work on is an attendance program for school (which we surprisingly don’t currently have). The first thing I had to do was update my version of Ruby and Rails (and Homebrew) but after some googling, I was able to do it pretty easily. I did have a slight hiccup with Homebrew. I kept getting an error that I didn’t have permission to write to /usr/local/, but after uninstalling and reinstalling, that took care of the issue. I finally got it installed on my local machine and I’m ready to start learning some Rails!